Trust the Scotch name for all your adhesive needs. 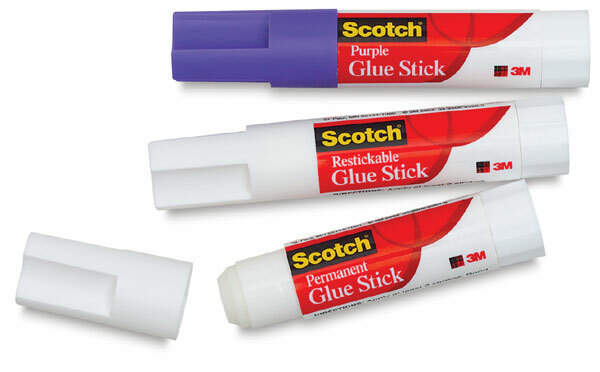 Acid-free and archival, Scotch Glue Sticks are easy to use and easy to clean up. They're ideal for applications where a permanent or temporary bond is required, including photo albums, scrapbooks, memory books, and more. Available in clear or purple, both glue formulas dry clear and permanent. They're ideal for applications where a permanent bond is desired. ® 3M is a registered trademark.® Scotch is a registered trademark of the 3M company. ® Post-It is a registered trademark.